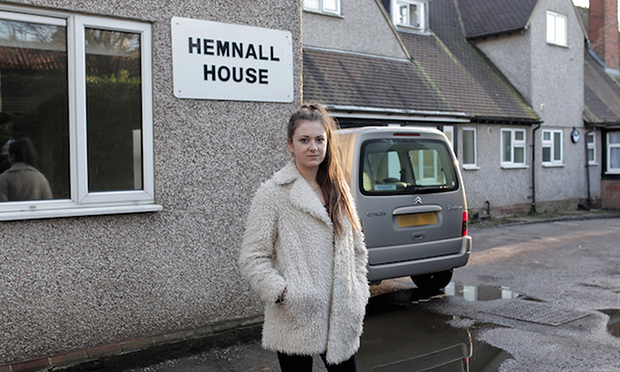 Daisy-May Hudson and her family became homeless on 12 July 2013. When their landlord, a multinational supermarket, sold off their house, they were forced to pack up their belongings and vacate their home in Essex where they had lived for 13 years. Unable to afford soaring rents on a single parent income, the family had no choice but to declare themselves homeless. They were moved into a homeless hostel, a large institutional building, for one month. Then they were moved into a second half-way home, where they stayed for just under a year. Daisy-May, who now lives in Dalston with friends, decided to record the entire experience of displacement on film. Since then, she has turned 250 hours of fervent footage into a feature-length documentary called Half Way. She says that by documenting the emotional turmoil of living between homes “the film was able to serve as a coping mechanism for the family – a positive force in a time that was otherwise painfully stagnant”. What’s more, in breaking down the distinction between subject and director, this firsthand account offers a uniquely intimate insight into the trauma of homelessness. In the past few months, the family has been rehoused. Filming has finished and last month Daisy-May and a group of filmmakers managed to raise the £10,000 needed for post-production work. Daisy-May says that Half Way is an attempt to put a “human face” to the statistics behind the UK’s housing crisis and in so doing spark social change. The statistics she cites make grim reading. According to Shelter there are more than 1.8 million people on the waiting list for social housing. Families are the worst off, with over 70 per cent of rent or mortgage payers with children struggling or falling behind with payments as of January 2014. In Hackney, Shelter has found that the average annual salary would have to increase by more than £100,000 to keep up with house prices. In offering an honest and intimate depiction of one family’s tale of displacement, Half Way captures the desperate experience of homelessness from a family who endured and overcame it. In doing so, the documentary overturns callous misconceptions and stereotypes of homelessness.